I gave each individual "best of 2009" list 550 points to distribute among the comics named on the list. For unranked lists, the 550 points get evenly distributed among all the books. Thus, if a critic named ten books but didn’t rank his or her choices, each book gets 55 points. If a critic named 20 books, each book gets 27.5 points. If the list is ranked, the points get distributed according to a formula that gives more points for higher rankings and less points for lower rankings. 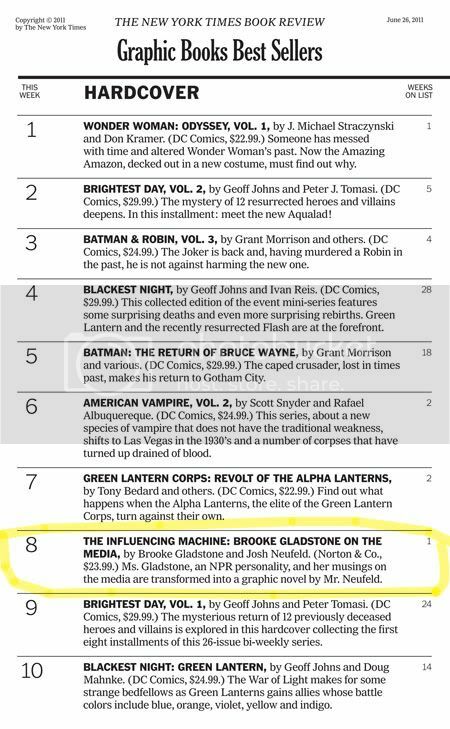 So, for a top 10 list, the #1 book gets 100 points, the #2 ranked gets 90, all the way down to 10 points for #10. For a top 20 list, the #1 book gets 52.4 points, the #2 gets 49.8 points, on down to 2.6 points for the #20 book. After distributing the points, I totaled up the number of points given to each book to produce this "meta-list" of the top 100 books of the year. I only counted lists that had five or more books; for ranked lists with more than 20 books, I only counted the top 20. Nuts, right? Sandy mentions that a guy named Chad Nevett "devised the formula for distributing points," which I should definitely read, because I’m dying to know how he came up with 550 points as the base allotment. I’m sure there’s a good reason. It’s comforting to know that there are obviously lots of other people (guys?) out there who also spent their childhoods obsessing over baseball stats, comic book collections, D&D charts, and the like. That’s the beauty of the Internet: it links us all together. On the other hand, it’s also a bit scary because it makes it that much easier to cross back over that line, to go back into the interior world of numbers, where the big scary, chaotic world seems manageable, understandable — able to be controlled. Anyway, bit of a tangent there. And in all seriousness, the Meta-List is a nice aggregator of all those top-ten lists out there (the Meta-List was made up of 130 lists identified by Sandy — including my own list! ), plus it gives a good sense of the consensus of readers/critics. I’m definitely intrigued by some of the higher-ranked books that I haven’t yet read, comics like Darwyn Cooke’s Parker: The Hunter, Seth’s George Sprott: 1894-1975, Naoki Urasawa’s Pluto, Ken Dahl’s Monsters, Greg Rucka & J.H. Williams III’s Detective Comics, and Bryan Lee O’Malley’s Scott Pilgrim vs. The Universe. Asterios Polyp by David Mazzucchelli — Maybe the best fusion of art & words yet produced, the pinnacle of what defines comics. A true work of literature by one of my all-time favorite cartoonists. If only we didn’t have to wait a decade for each new book of his! ACT-I-VATE Primer — Beautifully produced anthology featuring some of my favorite cartoonists: Dean Haspiel, Michel Fiffe, Mike Dawson, Nick Bertozzi, Tim Hamilton, Leland Purvis, Joe Infurnari, and Simon Fraser, just to name a few. Cleverly, each of the stories in the book is a print-only example of the ongoing free stories on the ACT-I-VATE website. Syncopated: An Anthology of Nonfiction Picto-Essays, edited by Brendan Burford — I know, I shouldn’t be allowed to nominate this because I’m a contributor, but my piece is entirely forgettable, while the rest of this anthology is top-notch. Syncopated features 16 nonfiction stories ranging from from the history of vintage postcards to the glory days of old Coney Island, from the secret world of graffiti artists to the chess champs of Greenwich Village, from the Tulsa race riots of 1921 to the interrogation of prisoners at Guantánamo Bay. Contributors include editor Burford, Nick Bertozzi, Alex Holden, Greg Cook, Jim Campbell, and Paul Karasik. 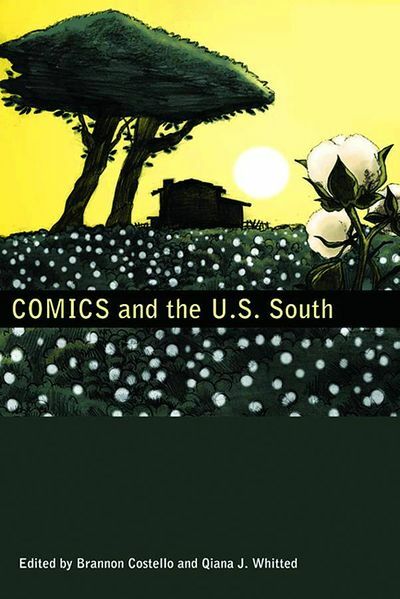 The inimitable Rob Clough of Sequart.com’s “High Low” names The Vagabonds #2 (and Vertigo’s American Splendor series) to his top comics of 2006 list. Thanks, Rob!